For many property owners, landscaping and trees are sources of great pride and enjoyment. But sometimes even life’s simplest joys become complications, and neighbors often disagree whether the stately sweetgum reaching over the fence is a beauty or a nuisance. What rights do the tree’s owners have? What of the neighbor whose yard is a mess of branches and seeds, and whose prized rose bushes are shrinking without sunlight? Practically, this means that if a branch from a healthy tree on one side of the property line falls on a neighboring house, the owner of the damaged house may not sue the tree’s owner for damages. However, courts in some jurisdictions, but not all, will allow the owner of a damaged house to sue the tree’s owner if the tree was in a damaged, decayed, or diseased condition and the owner knew or should reasonably have known of its condition. Otherwise, a property owner has the right to cut off the branches at the property line in order to prevent them from infringing upon the property. So, how should neighbors approach these issues? As a best practice, while it may be easier to ask forgiveness than to ask permission, it may not be better. Property ownership is one of the more permanent ways to ensure a continued relationship with another person, and in order to prevent escalation and bad blood, it is always wise to inform the neighboring tree owner of the issue prior to exercising your rights to remove portions of his trees. If any person shall cut down, injure or destroy or carry away any tree placed or growing for use, shade or ornament, or any timber, rails or wood standing, being or growing on the land of any other person, […] in which such person has no interest or right […] the person so offending shall pay to the party injured treble the value of the things so injured, broken, destroyed or carried away, with costs. Any person filing a claim for damages pursuant to this section need not prove negligence or intent. 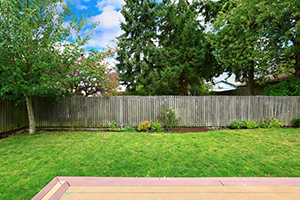 Importantly, this section is titled “Trespass on realty–treble damages recoverable, when–rules for trimming, removing, and controlling trees.” That means there must be damage to a tree as a result of trespass (“unlawful intrusion upon the property of another”). If the infringed-upon owner cuts the limbs back only to the property line, he does not intrude onto the neighboring tree owner’s property and therefore does not trespass. Even if the trimming causes some ill effects to the tree, the neighbor who trimmed it will not be liable for treble damages because he did not trespass in exercising his rights of self-protection.